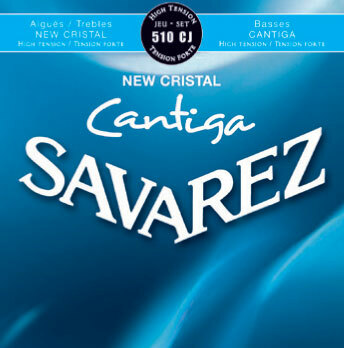 The Savarez Crystal Cantiga Premium 510CJ have become my favorite string especially on my Cordoba 45FP Guitar. They sound brilliant with lots of tonal possibilities from the saddle to sound hole with right hand finger technique and placement. They feel smooth and nice from flesh to nail. These are durable as well. Fantastic job Savarez. give my Cordoba C7 C/D a beautiful warm harmonics and an awesome overtone spectrum. I prefer nylon strings over carbon and this is my favorite selection. Cantiga basses get beautiful color on my instrument and the sustain is amazing. The 3rd string of the trebles provides a decent transition, and yet the string have a nice bright ring to them.